He also stressed on the need for a balance between manpower and technology. 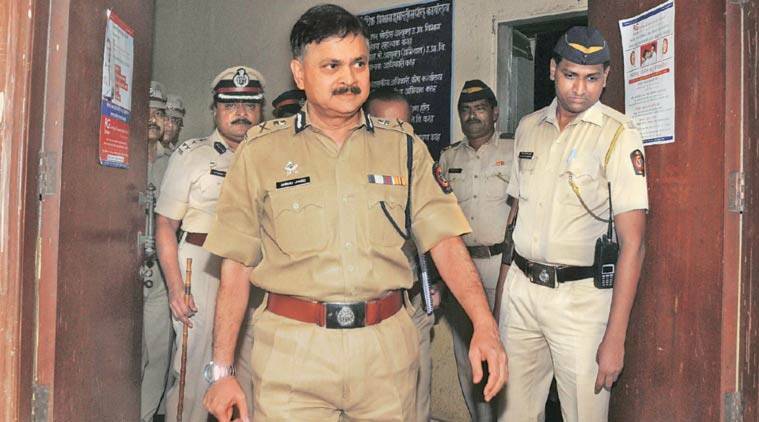 Replying to a query on traffic woes, Mumbai Police Commissioner Ahmad Javed said Wednesday he would make a phone call to his counterpart in New Delhi to gauge the response and hurdles for implementation of the odd and even number plate-based commute. Javed was speaking at an open interaction organised by Mumbai First, a city-based think tank at BSE, Fort, where he answered all sorts of questions from the public. On a question on traffic which many voiced was the biggest hurdle in an urban space like Mumbai, Javed said, “The toll or taxation system for entering an area at a peak time could be a solution.” He added that a phone call would be placed to the office of the Delhi Commissioner of Police, and in future, any decision would be made after a thorough study of the Delhi model as Mumbai too had similar issues with 300-plus vehicles registered every day. “The focus for Mumbai police is citizen’s safety and traffic issues. The installation of CCTV cameras that was completed 10 days ago will help us deal with both,” he said. Javed said that the surveillance system would strengthen the existing police force and the entire city would be covered by September next year. All police stations in the city have already installed these cameras. Among the other focus areas for the force are quality service to citizen at police stations and safety of women and children in the city. Addressing a question on the morale of the police force, he admitted that the Mumbai police had to brave long working hours including working on festival days. He also stressed on the need for a balance between manpower and technology. “We should be equipped with good technology, and where technology cannot help, should have enough people for handling the work.” The welfare of the police force is also a top priority, according to Ahmad. He wants to bring in housing facilities and good schools for the children of policemen in Mumbai. Responding to a person in the audience who lost his mother as the ambulance carrying her could not reach the hospital in time, Javed said if the police were informed early, it would ensure ambulances reached the spot on time. He also spoke of the new traffic helpline number (8454999999) that would help commuters get information regarding traffic in the city. The police is also trying to raise awareness among the people to give space when they hear the ambulance siren. He also spoke of how with increased coordination with BMC, the Mumbai police has cleared at least three traffic bottlenecks in the past three months.